Nation FM's breakfast show host Angela Angwenyi has decided to call it a day from radio. Angela is one of the most experienced radio hosts in the country and her retirement from radio brought a lot of attention especially from other media personalities. The "queen of radio" as she is called by her fans broke the news during a daily morning show and this is how she said it. She went on to thank her listeners for supporting her for the decade that she has been entertaining and giving them the latest news plus talking about issues that affect the common citizen. 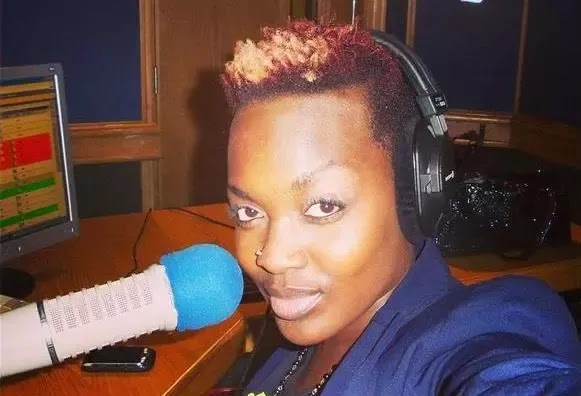 Presenters including those from rival radio stations took it to their social media pages to bid her farewell and offer her their blessing as she start on a new journey to whatever she will be doing. Angela was overwhelmed by the support she received as she was bid farewell by many different radio personalities, here are just a few of them.